Chillingham Castle Halloween and Firework Display gates open 5.30pm, event takes place from 6pm to 8pm, Activities will include: Children’s Ghost Stories, Best Fancy Dress Competition, Best Pumpkin Competition, Pumpkin Trail, Tombola, Children's Tablecloth Colouring, FREE Children’s Face Painting and Live Music. Admission: £5 Children, £10 Adult, £25 Family Ticket 2 adults & up to 3 children). More Information. Morpeth Rugby Club Bonfire and Fireworks Display gates open from 5pm, bonfire lit at 6pm. Where: Morpeth Rugby Club, Mitford Road NE61 1RJ. Admission is £5 and Under 12’s £3. 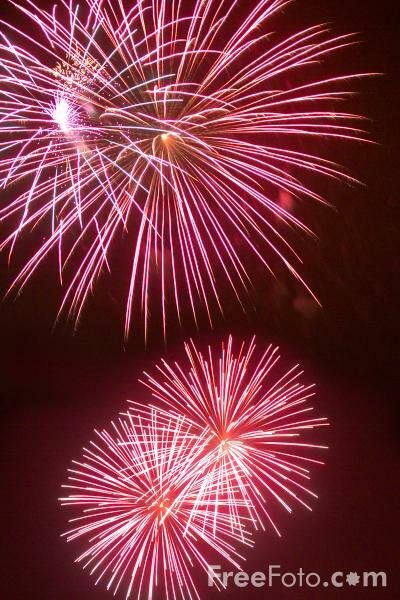 Blyth Fireworks Spectacular Starts at 2pm with display from 6:30pm and finishes at 7pm. A four hour marathon of Bonfire fun, including a spectacular firework display, a huge light show, a fun fair and entertainment from Frankie and the Heartstrings and The Great and The Magnificient playing. Entry by wristband only, available for £1 from Keel Row Shopping Centre Where: Blyth Quayside. Ashington Football Club commencing at approx 7pm. For more information visit the Club or alternatively tel: 01670 811 991 or email: exec@ashingtonafc.com Where: Ashington Football Club, Woodhorn Lane, Ashington, Northumberland, NE63 9FW. More information. Kirkley Hall Bonfire Night gates open from 5pm, bonfire lit at 6pm and fireworks at 6:30pm. Admission is £2.50. Higham Lakes Firework Display in aid of Daft as a Brush cancer patient care. Gates open at 4pm and the bonfire is lit at 5pm, fireworks start at 6pm. Admission: Adults £5, Under 16’s £2.50 and Under 4’s free. Pay on the gate. Elsdon Bonfire and Fireworks on the Village Green, bonfire is lit at 6pm and fireworks start at 6.30pm. Food, drink and sparklers available! Alnwick District Round Table Bonfire & Firework Displays gates open at 6.30pm and fireworks from 7pm. Admission: Adults £5, Under 16’s £3 and Under 4’s free. Please pay on the gate at the main club entrance. Where: Alnwick Rugby Club, Greensfield, Alnwick NE66 1BE. More information. Clennell Hall Fireworks Display starts from 6pm for hog roast and drinks.Fireworks will start at 7pm promptly, free entry. Coquetdale Round Table Firework Display from 5pm, fireworks start at 6pm. Admission £5 per adult up to a max of £10 per car. Where: Cragside House, Gardens and Estate near Rothbury.